UndergroundBJJ, located in Erie, Pennsylvania, is run by the first Brazilian Jiu-Jitsu Black Belt in the area, Michael Rooney. 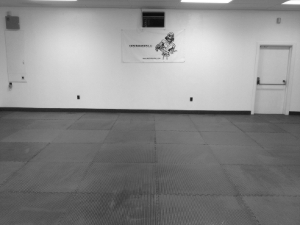 Classes are offered in Brazilian Jiu-Jitsu (BJJ), Submission Grappling (SG), and Mixed Martial Arts (MMA). Whether you are looking to fight, compete, or just have a good time training, we are your best choice. New people are always welcome. If you have been waiting to get started, now's your chance, please stop in and visit, or email us. Please check out our Frequently Asked Questions page for any other questions or concerns. If you don't find the answers, contact us. Error! Something is not right here. BJJ is a martial arts/combat sport that focuses on grappling and especially ground fighting. It teaches that a smaller, weaker person can successfully defend against a bigger, stronger assailant by using leverage and proper technique. Submission Grappling is a general term describing the aspect of combat sports that focuses on ground fighting with the aim of obtaining a submission using submission holds. This refers to competition and training that does not use a 'jacket' or 'gi'. 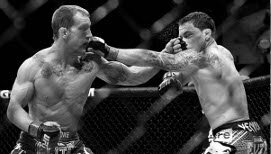 MMA is a full contact combat sport that allows the use of striking and grappling techniques, both standing and on the ground, including boxing, wrestling, BJJ, Muay Thai, and other styles.